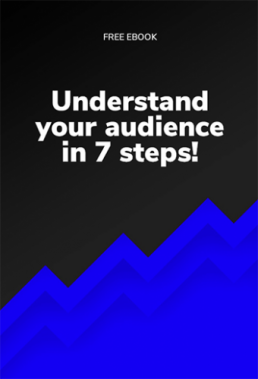 Understand Your Audience in 7 Steps! Watch this quick intro video on building your brand's social media presence! Manage your social media audiences all in one place. Live steam events and monitor viewer engagement using our dashboard. See how many twitter followers and retweets you're getting daily. Create stories, schedule automatic posts, and analyze engagement rates. Monitor you're LinkedIn followers' activity and daily engagement rates. Our newest guide includes tips for any company that has a small online presence and wants to expand their reach on social media channels and beyond! "I just finished reading this ebook and I’ve already started seeing results! If you’re looking to build a successful social media strategy, this is the book for you!" Free ebook: Understand Your Audience in 7 Steps!